Portugal in southern Europe is a wonderful holiday destination with a great climate, fantastic beaches, and beautiful towns and villages. There is a range of holiday accommodation available from holiday homes with pool to B&Bs. Although it is a small country, there is plenty to see and do within the country. The year round sunshine and impressive beaches make it an ideal beach holiday location. Popular areas include the capital, Lisbon, Porto and the Algarve. The country also offers superb cuisine and fine wines. The Alentejo region is a perfect wine-lovers holiday, offering scenic and secluded local vineyards. Portugal also has many islands such as the Azores and Madeira spread across the Atlantic. Although theses islands don’t have sandy beaches, they are a popular holiday destination as offer natural lagoons and awe-inspiring scenery. Lisbon is the capital and the largest city of Portugal. It is a beautiful historical city, with characteristic sights, rich in culture, and in a beautiful setting prefect for exploring. As well as the main tourist attractions, it is very close to the west coast of Portugal allowing visitors to benefit from the beaches. The city has a lively café culture and vibrant nightlife. The Algarve is Portugal's premier holiday destination, with pretty beaches and coves, large resorts and attractive towns. The Algarve is also known for its golf courses, regarded as an elite venue by top professionals. The climate, allows the golf season to extend over several months, making it a popular golf destination in the summer and winter. As well as golf, there are plenty of outdoor activities including water sports, walking and horse riding. The Algarve is rich in heritage and culture where you can discover traditions and beautiful buildings. The region also offers beautiful cuisine and delicacies. 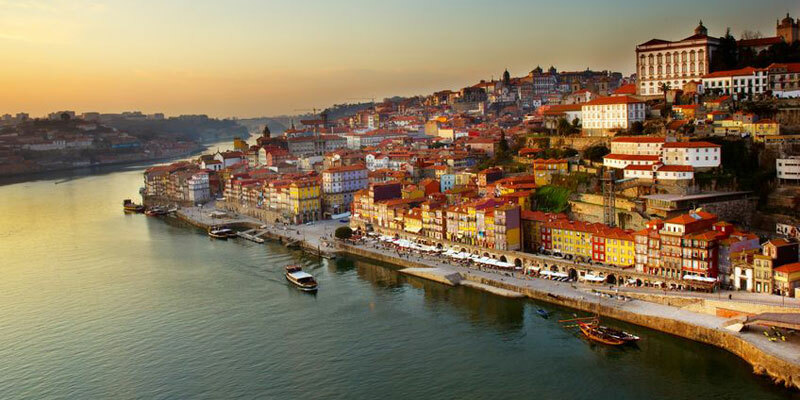 Porto, also known as Oporto, is the second-largest city in Portugal and known for its port wine. The city is an ancient port steeped in history and tradition with its city centre a world heritage site. This beautiful city is full of great monuments, a variety of restaurants, cafes and cocktail lounges. Animal theme park and rides in the Algarve Portugal. An excellant day out for all the family - you can even swim with the dolphins! World Heritage ...for cultural landscape. Displaying a unique mixture of nature and architectural treasures.